Fishing for crappie is very popular among experienced and beginner fishermen because it is one of the most easiest to learn. Crappie fishing is popular all year long, but the true season for crappie fishing is fall and spring. 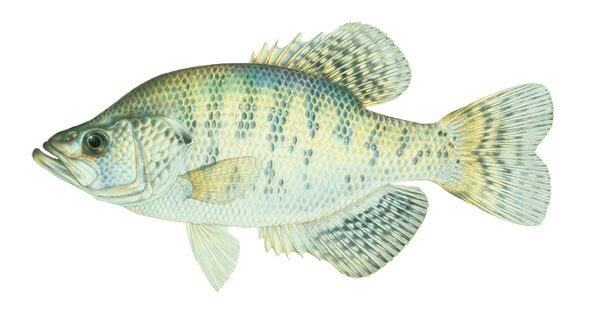 Crappie fishing does not require any special gear or bait, they are relatively easy to catch. So, what is the best bait for fishing crappie? When it comes to fishing crappie you have many choices because crappie eat literally anything. Choosing the best bait for fishing crappie is moderately simple. Every fisher will have a bait that they promise works better than everything, however if the fish aren’t biting there are things you can do to improve your crappie fishing experience. Using a wide variety of live or artifical baits such as insects, worms and minnows will let you better understand how the fish will react. Here are some of the best baits for fishing crappie. Minnows – Minnows for crappie fishing are very popular, and will always attract Crappie. The size of the minnow is crucial – when buying minnows you will need to get the smallest size available. 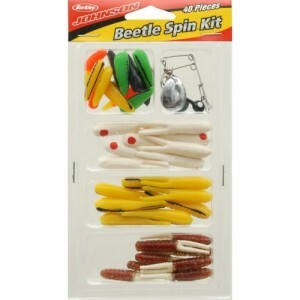 Beetle Spinner Bait – The Beetle spinner bait is definitely worth being noted as the best bait for fishing crappie. This bait will attract crappie, as it’s the artificial bait of a beetle, which crappie love – but this will have a higher attraction rate than just a beetle. Curly-Tail grubs – Curly tailed grubs are relatively soft baits with slightly curled tails. 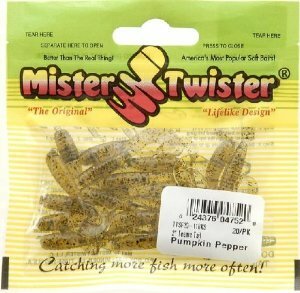 These are great because it produces a lot of movement that will attract crappie. You will want to use a lead-head for best results. 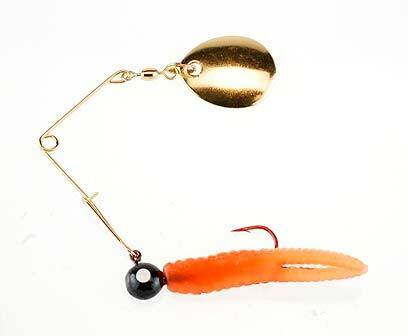 The color of these jigs and leadhead can be very important, so read below. Sometimes you will find yourself using the best bait for fishing but still not getting good results. Here is what you need to do. Fish differently – Reel in slower, reel in faster. The colder the water the slower you need to reel in. Adding a twitch while reeling in can provide a dramatic difference while fishing for crappie. Change the color of your bait – Crappies can be very picky about the color of your bait. If the water is clear using the natural color of what your bait is immitating is important. In muddy water you will need to cause more attraction, using a bright color is best. On a cloudy day you will want to use a darker color, such as dark brown or dark green. In a sunny day a bright color is the best way to lure in crappie. Night fishing you will need to use a black bait. 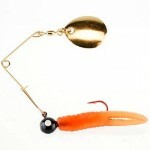 Change baits – Sometimes you will just have to change your bait completely. Some baits will get more action than others. Using the above guidelines will provide you with an overall good fishing experience.